In Forgiveness, Drs. 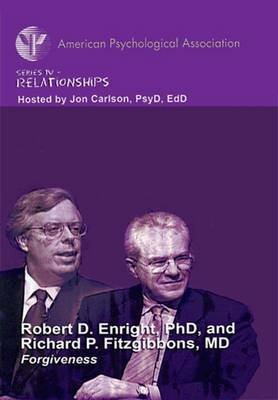 Robert D. Enright and Richard P. Fitzgibbons discuss and demonstrate their forgiveness-centered approach to psychotherapy. Forgiveness is the process of uncovering and letting go of anger at someone who has caused the client pain. This can be the path to healing in many situations, as anger is frequently at the core of a client's issues and may be the center of many disorders. In this session, Dr. Fitzgibbons works with Deanne, a young woman who is divorced with an 8-year-old son. Deanne is angry with her ex-husband because she feels he has never supported her or their son, and he continues to betray them with false promises. She also fears that her anger might drive away her current boyfriend. Dr. Fitzgibbons helps Deanne to uncover more of her anger and to begin the difficult task of letting it go.